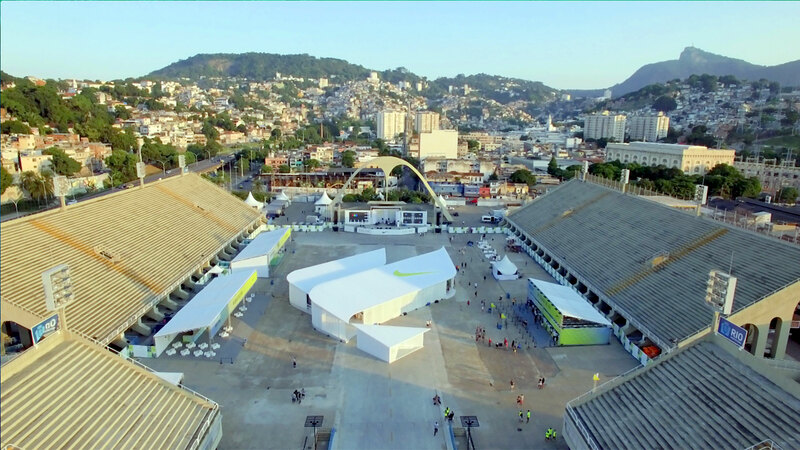 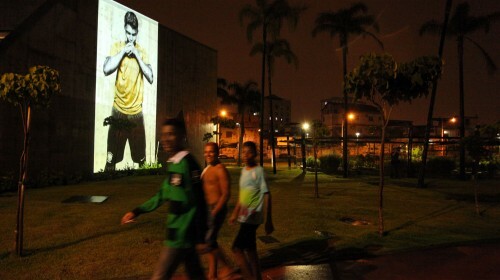 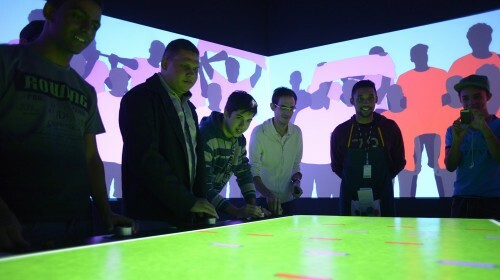 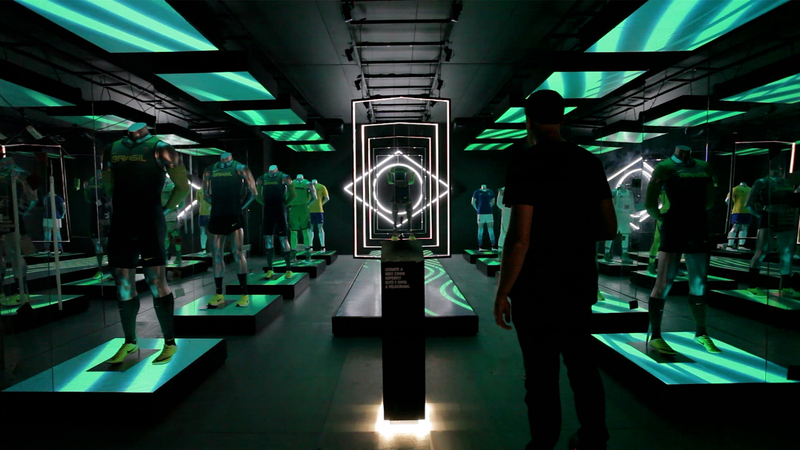 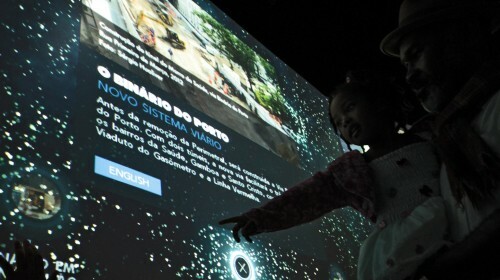 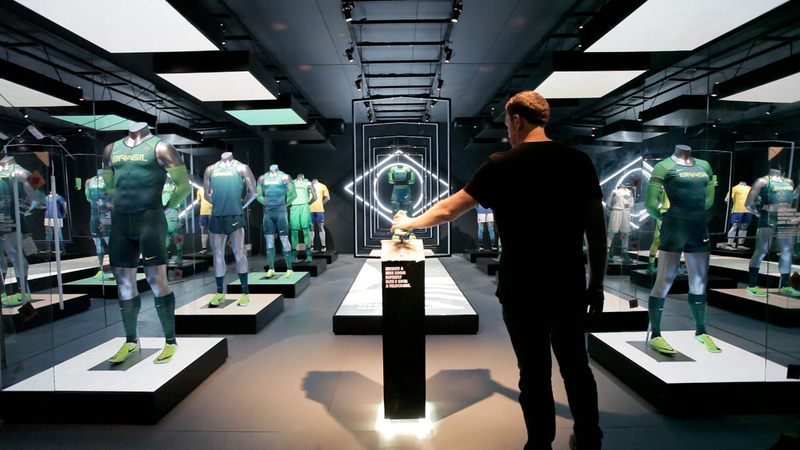 In partnership with Nike, SuperUber developed an immersive interactive experience for the launch of the new uniforms of Team Brazil for Rio’s 2016 Olympic Games — new soccer uniforms, the costumes for the award ceremonies and Olympic Village. 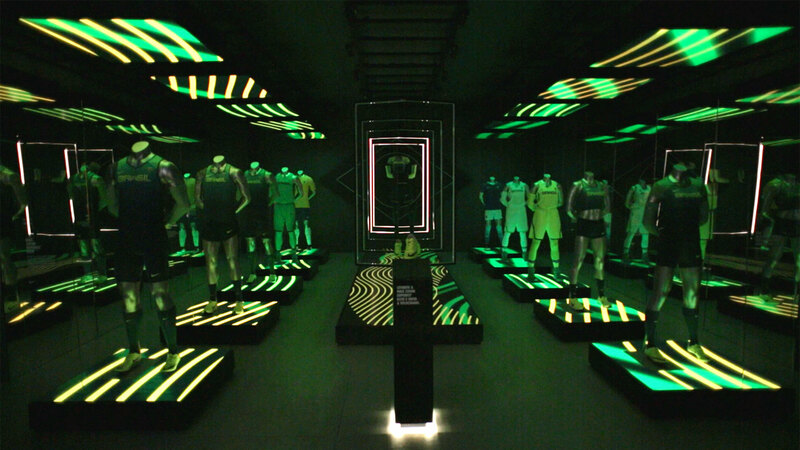 Mannequins dressed in the new uniforms shared the space with high resolution LED panels, where the details of the new products were displayed. 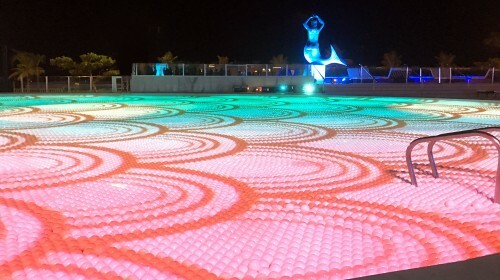 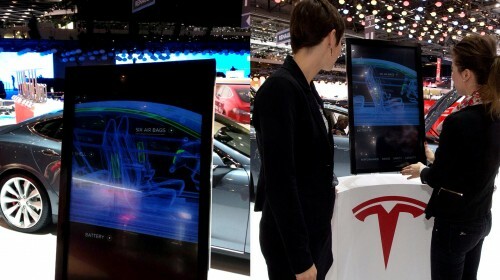 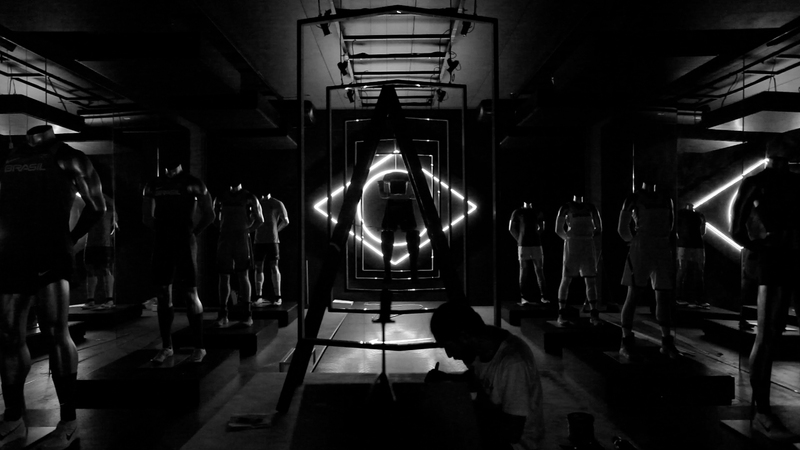 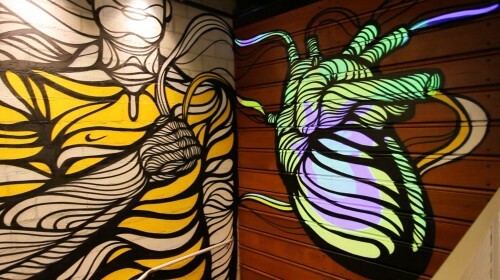 The platforms of mannequins, also made up of LEDs, highlighted the uniforms synchronized to the primary screen’s moments. 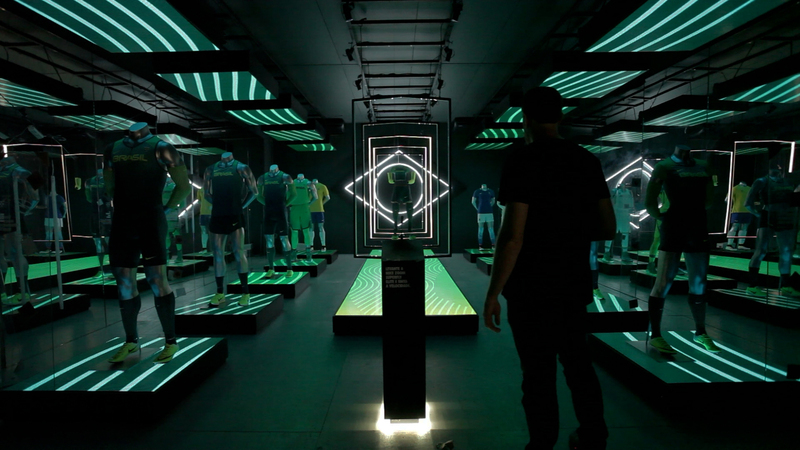 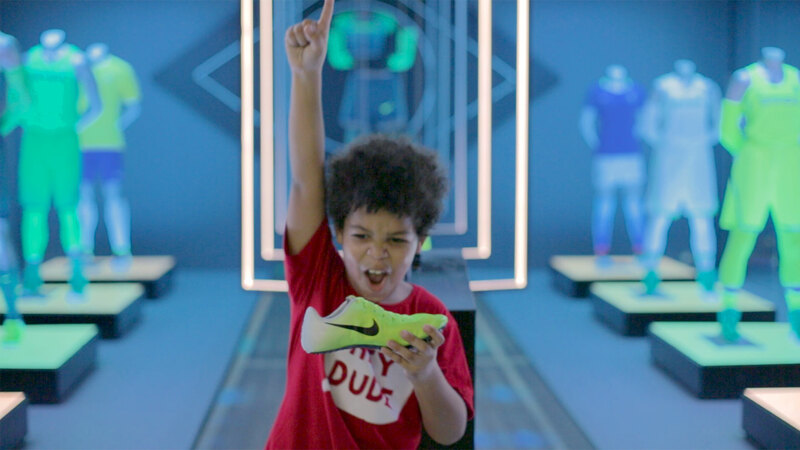 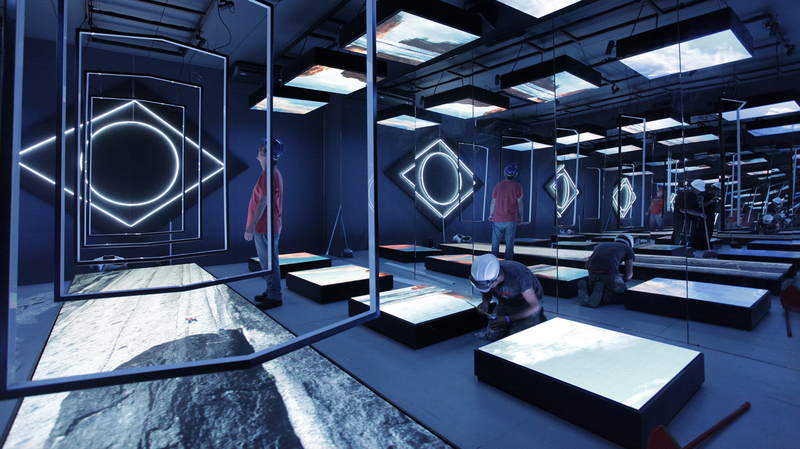 Highlighted in the installation, the Nike Super Fly Elite sprinting shoe, was the starting point for the interaction: when removed from the pedestal, a light and sound performance was activated, driving the visitor into a technological speed experience, inspired by the brand concept. 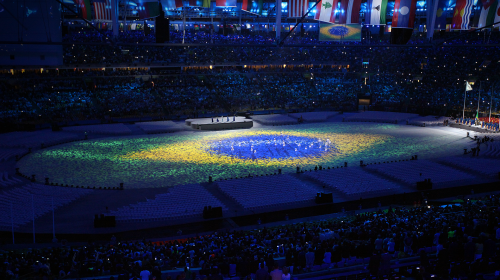 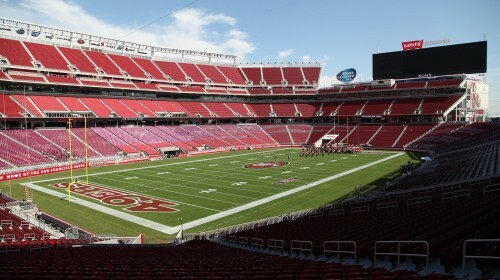 “We want to take the visitor on a pure speed experience; make him feel the thrill of being an Olympic athlete. 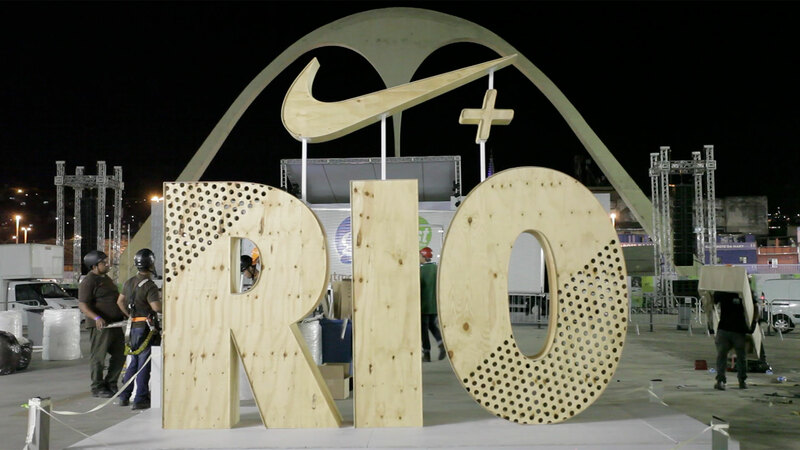 The minimalist animations were inspired by the images on the uniforms and by the advanced technology used to create them” explains Russ Rive, director of SuperUber. 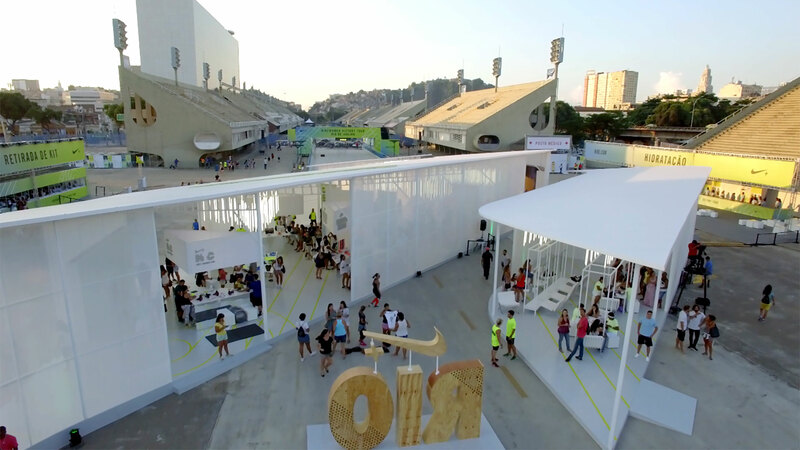 The event, held in Rio de Janeiro, was a warm-up for the Olympic Games, and also promoted the Nike Women Victory Tour – a half-marathon for women, that started at the Sambodrome.